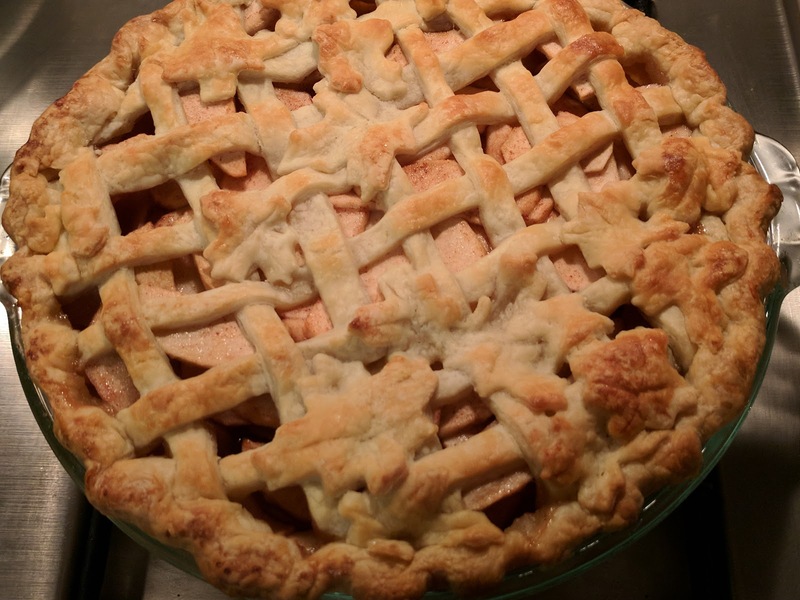 After deliberating for a while I decided to enter the apple pie bake-off at the Fair. It's tomorrow and, since I do have to work, I needed to get it baked tonight. I made the crust last night and chilled it so it'd be the right texture today. Once I had all the apples prepared I arranged them by hand onto the bottom crust. Then I made a lattice and a whole bunch of maple leaves and arranged them over the top. I had a lot of pie crust dough left over. 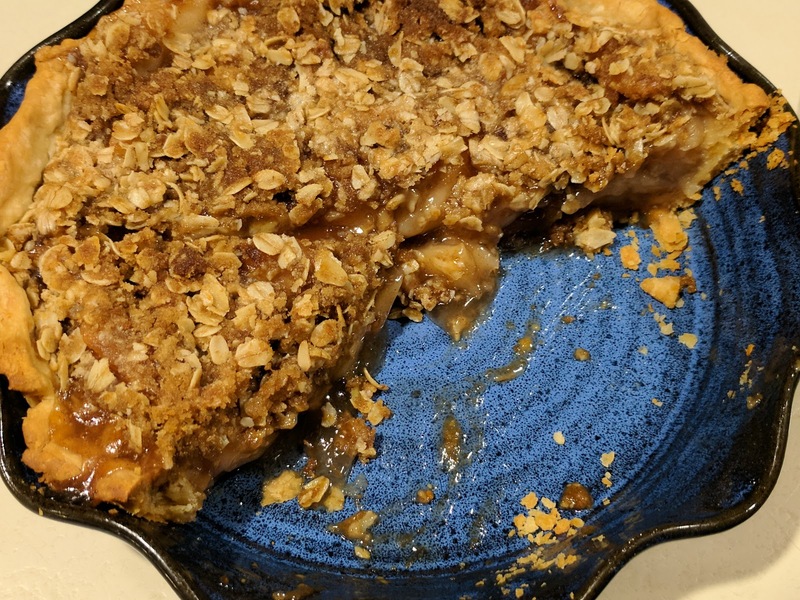 Normally I'd make a tart, but this seemed like more than usual, so I pulled out my new pie plate and made a second pie. This one used canned pie filling that I'd made a week ago and then I made a quick crisp topping with butter, brown sugar, oats and flour. We got to enjoy the second pie for dessert tonight and we'll see what the judges say about my pie tomorrow night!